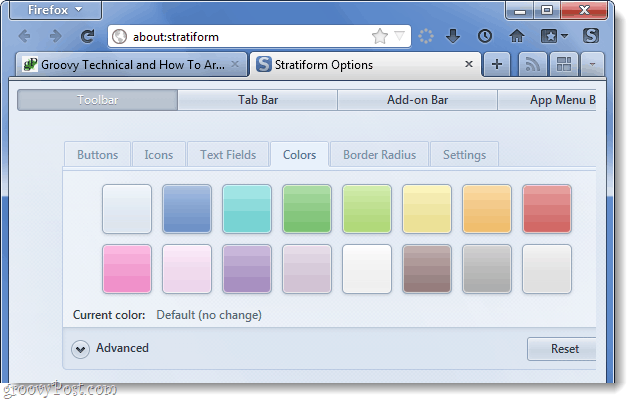 If you are using the new Firefox 4, wouldn’t it be nice to completely customize it to match your style? For many Chrome is the browser of choice simply because of it’s minimalistic theme, but you can now set Firefox 4 to be just like it. 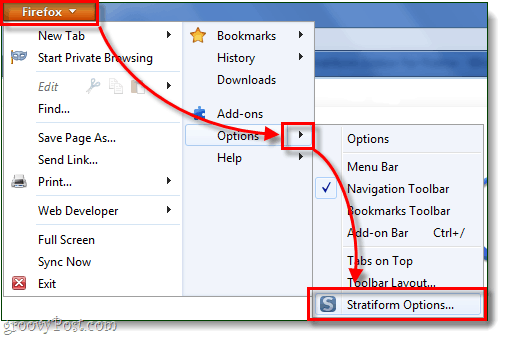 Stratiform is a free extension for Firefox that will allow you to customize all of your toolbars so that they will match your desktop theme or just become less intrusive to your web experience. Let’s set it up! 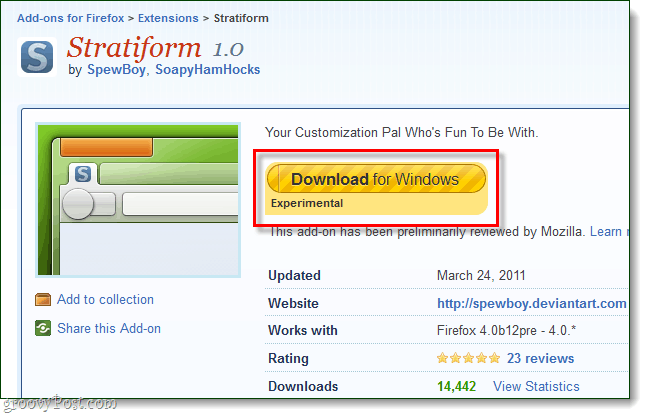 While using Firefox, Download the Stratiform extension from the official Mozilla add-ons site. 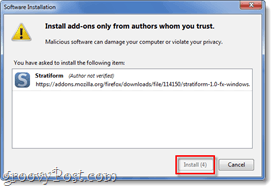 Click the Install confirmation button and Restart Firefox. Alternatively you can just Type about:stratiform into the address bar. Each menu has a huge variety of options that you can customize, this includes icon style, text box style, icons, colors, and a few other things. 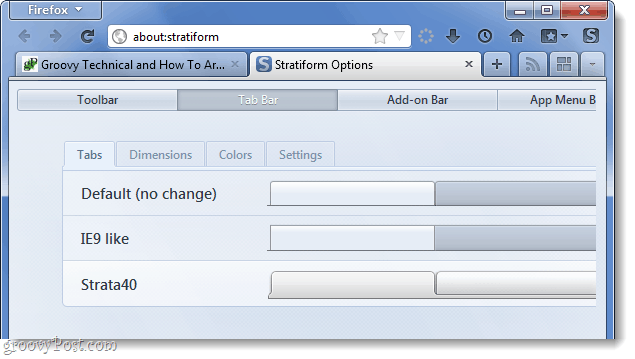 Stratiform is a groovy Firefox interface customization extension that will allow you to further customize the toolbar beyond what the built-in settings allow. I give it two groovy thumbs up, especially considering that it includes a way to change the color of the Firefox menu button to something not-orange.